I have finally discovered the secret of never having a disappointment in the Advent calendar. And it is… not sticking to the dollar a day budget. At all. But truthfully I didn’t go over so very much (more like $1 per kid per day) and I had more fun than ever perusing the clearance aisles and picking out the goodies. And who knew blowing the budget would lead to a happy Hadley every morning before school? Worth it. 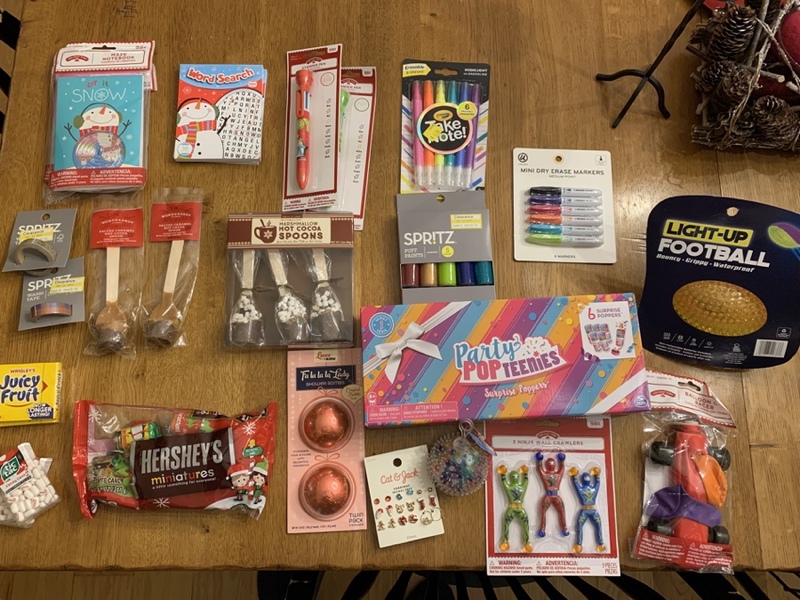 (Not pictured: Bastien’s reflective running vest (an AMAZING clearance find), sugar cookie Chapstick, teeny Nutellas, and some fancy marshmallows. ).